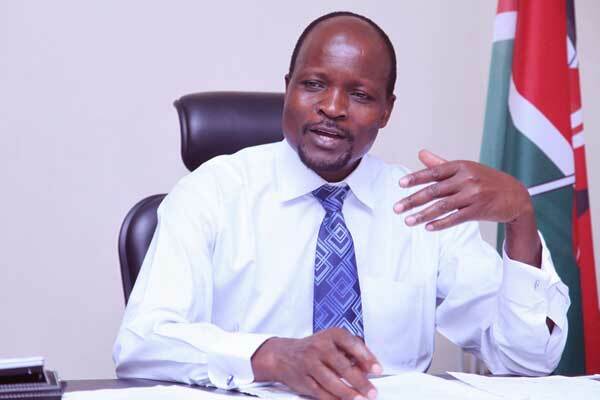 DCI officers have summoned a former close business associate of Migori Governor Okoth Obado to record a statement about an alleged plot by the county boss to kill him. Investigators are understood to have received an anonymous letter detailing a scheme by Obado and his associates to eliminate Jared Kwaga, who had close businesses dealings with Obado. The two have had a falling out, the reason is not clear. “Yes, we are investigating this issue and hope to conclude investigations soon,” Director of Criminal Investigations George Kinoti yesterday told the Star. DCI officers are reported to have camped in Migori this past weekend and interviewed several people. They are expected to interview both Kwaga and Obado. By 6pm, Obado had not returned calls or responded to text messages seeking comment. However, spokesman Nicholas Anyuor yesterday told the Star the governor is not aware of such allegations. “We have not been informed, the governor is also not aware. We hope this is not political propaganda to spoil the image of the governor. The governor has never wanted to kill anybody,” Anyuor said. Yesterday the Star learnt that Kwaga has previously expressed fears for his life, even claiming that unidentified people had been trailing him in unmarked cars. Yesterday Kwaga confirmed the DCI had summoned him to shed light on a plot to murder him. “DCI officers have summoned me to record a statement with them,” he told the Star. The Ethics and Anti-Corruption Commission has gone to court seeking various orders against Kwaga relating to millions of shillings that he allegedly wired to Obado’s children abroad.